Limagrain UK has launched Skyfall this spring; a new hybrid brassica for dairy and beef cattle that can provide two crops in a season. 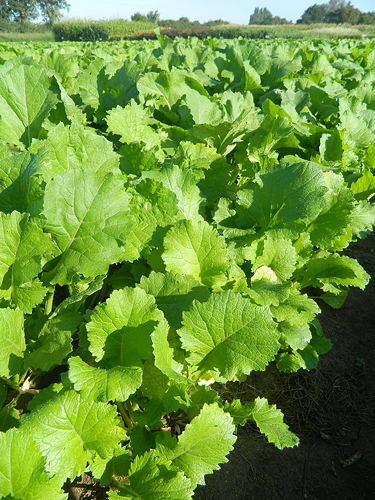 Sown between May and July, it will provide a highly nutritious leafy forage crop for grazing in 12 to 14 weeks. In trials sown in July, Skyfall has produced between 30 and 35 tonnes/ha of a palatable soft-leaved forage. Where the crop is sown in the earlier part of the growing season, it can be grazed once and then closed up for regrowth before a second grazing period later in the season. “To maximise the ‘bounce back’ potential of this hybrid brassica, 30kg/ha to 40kg/ha of nitrogen should be applied to the crop after the first grazing,” adds Mr Titley. Limagrain has introduced Skyfall for 2019 with limited supplies of seed.